We suggest you order this plant in the winter as dormant turions. Aldrovanda can be shipped during the growing season as well but requires quick process-ing to avoid suffocation. This plant is sold with the under-standing that Aldrovanda will not be introduced to bodies of water where the plant is not na-tive and buyer assumes all re-sponsibilities for compliance with local, state, and federal laws regarding this plant. Adam Cross is a Ph.D. student from Perth, Western Australia, with a research interest in wetland ecology and the seasonal biology of vernal aquatic plants. 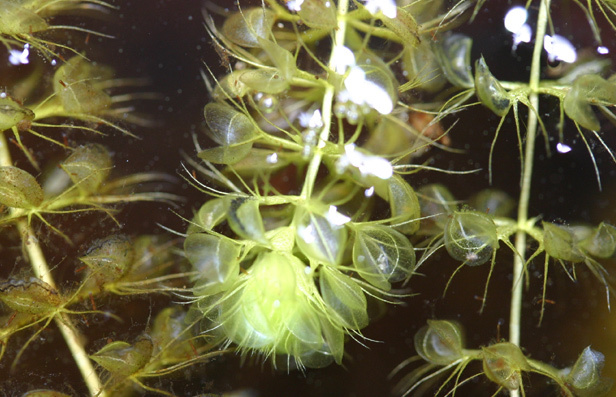 Intrigued by carnivorous plats from an early age, Adam began studying Aldrovanda as part of a university Honours degree in 2008. The research rapidly bloomed into a passion, and had led to more than four years of research into the species' ecology, dispersal, reproduction and conservation in collaboration with numerous international colleagues. This has resulted most recently in the listing of Aldrovanda as globally endangered by the International Union for the Conservation of Nature (IUCN). Adam now spends his summer months in the remote Kimberley region of Northern Australia, wading from swamp to swamp in search of Aldrovanda and other elusive wetland species. 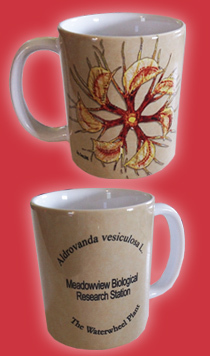 In honor of Crossfest 2013, Meadowview is selling "Aldrovanda vesiculosa - The Waterwheel Plant" coffee mugs. In honor of Crossfest 2013, Meadowview is selling "Aldrovanda vesiculosa - The Waterwheel Plant" T-shirts. These shirts feature the Meadowview logo on the front and an Aldrovanda illustration on the back. Japanese Aldrovanda Sale! Due to excellent growing conditions, we have an ENORMOUS stock of healthy, hungry Aldrovanda. During the winter months they will come as dormant turions but will spring back from domancy as temperatures warm. Until our stocks return to normal, you can buy Alrovanda vesiculosa for only $1.00 each in lots of 50. Members can take an additional 50% discount! 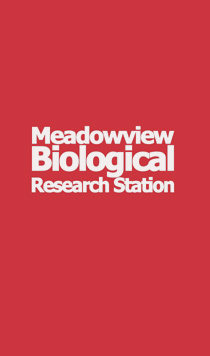 Meadowview pond sediment: contains essential micro-flora and fauna that inhibit algal growth through filtering and nutrient sequestration. 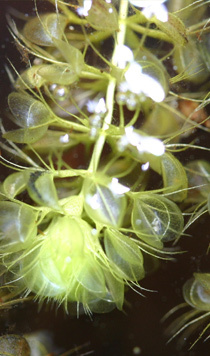 This biological function is essential to successful Aldrovanda culture. Bag (large ziploc) of Meadowview pond sediment.